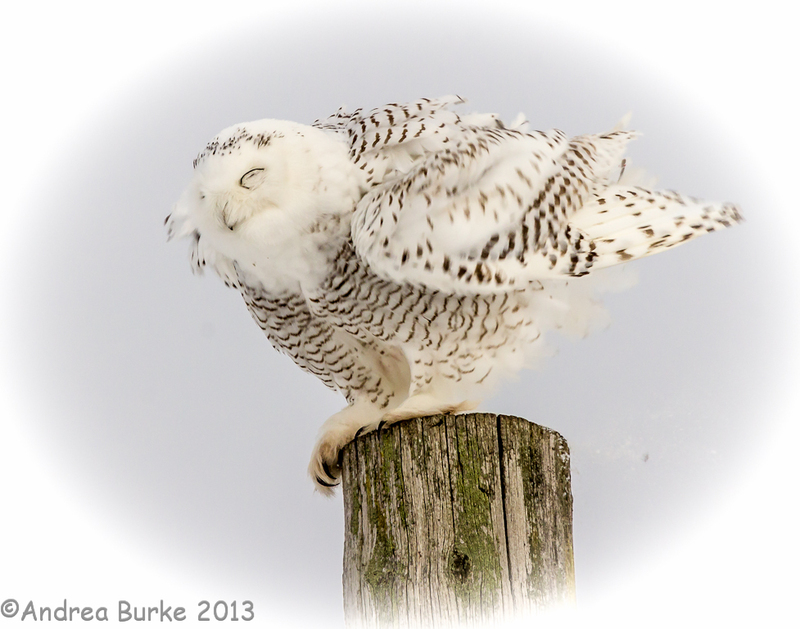 On 26 January, 2014, Gerry Rising had an article published in the Buffalo News in which he wrote that, remarkably, he has received over 100 reports of snowy owls in the Western New York region, this winter. 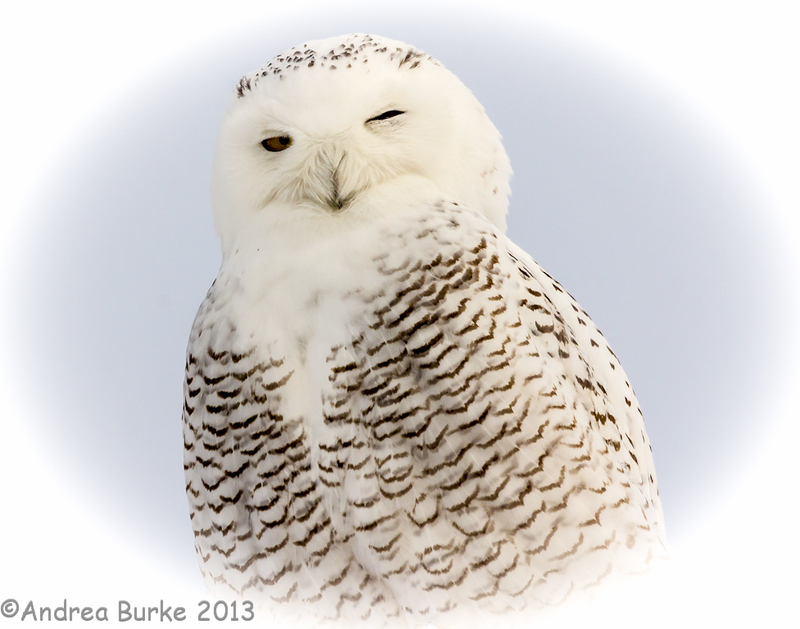 As one might expect, this hasn’t been a result of all the snowy owls in the arctic agreeing that they wanted to come and see Niagara Falls during their winter vacation, it’s just that far more owls than usual have come south this year and it would appear that everywhere is getting higher numbers of these beautiful visitors than is usually the case. 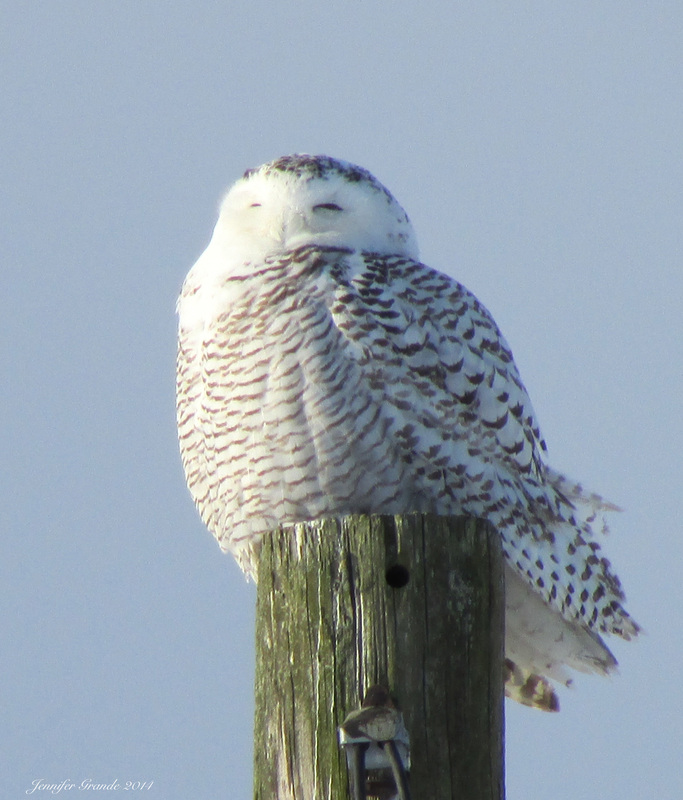 The increased number of owls, this winter, is the result of a periodic surge that happens every few years in the numbers of lemmings in the arctic, and this took place last summer. It is a simple equation: more lemmings means more young owls getting enough to eat and therefore surviving. This results in an ‘irruption’ in which the species is seen across a much larger winter migration area than is usually the case. The downside of such surges in numbers is that in the coming few months, when the owls get back to the arctic, there inevitably will be fewer lemmings and the breeding success of the owls will fall once more, in line with that situation. In the book Owls of America, by Frances Backhouse, there is a very interesting map showing the typical winter distribution of snowies. 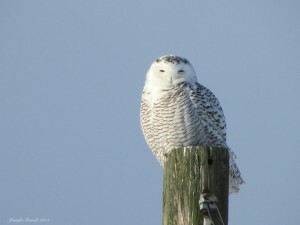 Only two regions in the USA are marked as getting some of the owls every winter. One of these areas, as keen birders in this area know, is New England and New York. The second is the Dakotas and Montana region. By comparison, the breeding distribution – which is also shown on the map – is much more limited than I had anticipated. For example, only the areas near the north west and north east coasts of Alaska is marked. I had wrongly assumed for example that most, if not all of Alaska would be part of their breeding range, but that is not the case. Similarly, only the far-northern coastal area of Canada supports breeding, not the entire tundra zone. Even in Greenland, according to the map – and just like Alaska – only the areas near the north west and north east coasts are in the breeding range. Snowy Owl. Copyright 2014, Jennifer Grande. 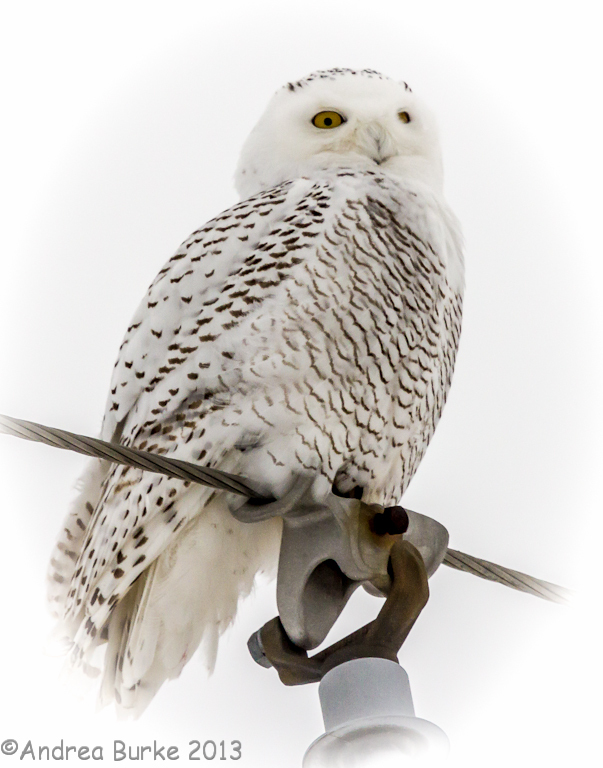 One other interesting thing about snowies is that unlike most other species of owl in the world, males and females have different plumage and can be told apart. Old males can be almost pure white, whereas females are moderately to heavily barred with black, and juveniles have the darkest markings. Anyone in the Western New York region who is interested in joining the Wildlife Watchers and Photographers (WNY) group, please e-mail the owner of this blog and introduce yourself. 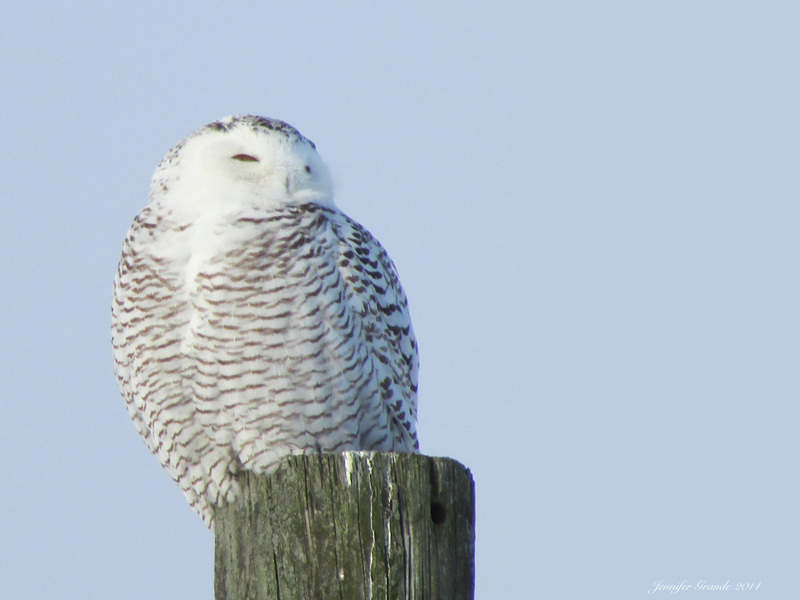 This entry was posted in Birds, Birds of Prey, Eddie Wren - articles by, Owls, USA (news), Wildlife - Nature - Natural History, WNY (general), WWNP Group photos.